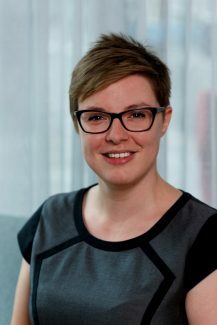 Dr Alexandra Holmes is Research Director at Clockwork Research, specialising in scientific safety cases and the implementation of Fatigue Risk Management Systems (FRMS) in aviation. With a PhD exploring the health effects of sleep loss and shift work, Alex is a current member of the ICAO Helicopter Fatigue Management Task Force and assists the UK CAA and Irish CAA to evaluate FRMS applications and safety cases. Alex worked closely with easyJet to assist the company to become the first European airline to implement an FRMS. She has recently completed a two-year project with Southwest Airlines to implement the first system-wide FRMS in the US. Alex has managed multiple Line Operations Safety Audit (LOSA) programmes and large research projects to explore the causes and consequences of pilot fatigue. She has undertaken scientific studies of the sleep, fatigue and performance of pilots working for Air France, Cathay Pacific and Qatar Airways. Sarah Booth is a Research Manager at Clockwork Research. A specialist in human performance in the aviation and aerospace environments, Sarah has worked with aviation operators to develop and implement Fatigue Risk Management Systems (FRMS) across multiple regulatory environments. Sarah specialises in the integration of key data streams into the FRMS. A highly experienced user of biomathematical fatigue models, Sarah develops key metrics for the analysis of roster-related-fatigue levels and the determination of broader schedule quality. Sarah also works closely with operators to implement effective, data-rich fatigue reporting systems, and to identify barriers to reporting. A regular speaker at both academic and industry conferences, Sarah is also a trainer, delivering to operators in the implementation of Fatigue Risk Management, as well as courses in the use of biomathematical modelling. Sarah obtained an honours degree in Physiological Sciences from the University of Oxford, focusing on cardiovascular physiology and immunology and a Master’s degree in Space Physiology and Health at King’s College London. Sarah is an Affiliate Member of the Royal Aeronautical Society. Dr Cristina Ruscitto is a Senior Researcher at Clockwork Research. She specialises in the psycho-behavioural predictors of jet lag and fatigue in the aviation sector. Her role involves a wide range of tasks, including the development of fatigue surveys and survey analysis, development of fatigue investigation process, review and recommendations of procedures, scientific study of roster patterns and the use of bio-mathematical models to conduct roster analysis. 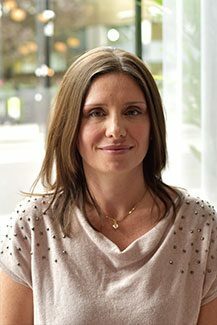 Cristina joined Clockwork Research in April 2018, having previously completed her PhD in Health Psychology exploring the psycho-behavioural predictors of jet lag amongst long-haul cabin crew at the University of Surrey, UK. Her research examined the relationship between subjective (symptom perception) and objective (shift in melatonin acrophase) jet lag in order to provide a comprehensive account of jet lag in long-haul cabin crew. The nature of subjective jet lag was further explored in terms of how long-haul crew make sense of jet lag and how this affects their adaptation to jet lag. Finally, based on recent evidence about the circadian resetting properties of food timing, Cristina also evaluated the impact of mealtimes for reducing jet lag in long-haul crew. Cristina’s interest in the field of jet lag and fatigue in aviation is not only academic but also personal having worked as long-haul cabin crew for 24 years. Cristina also works as a Visiting Researcher and Academic Tutor in Psychology for the University of Surrey. She is a Chartered member of the British Psychological Society and an Associate Fellow of the Higher Education Academy. 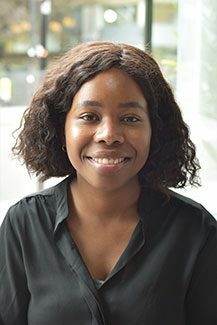 Catherine Okuboyejo is an Analyst at Clockwork Research. As a highly experienced user of the statistical programming software R, Catherine undertakes highly sophisticated analysis of large and complex datasets to extract meaningful information and visualisations from sleep, physiological and roster data, as well as surveys. Catherine analysed data for the Trans Maldivian Airways scientific safety case that informed the implementation of their updated Individual Flight Time Specification Scheme and Fatigue Risk Management System. From, the design of data collection materials, to scoring actiwatch sleep data statistical analysis, and report writing, Catherine works to ensure data is of high quality and appropriate statistical methods are applied. 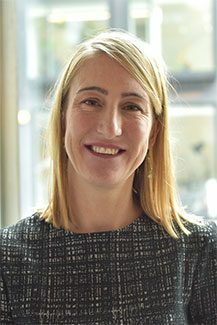 As a user of bio-mathematical fatigue models, Catherine performs sophisticated analysis in various operational environments, including airline and maritime environments, to construct key metrics for the analysis of roster-related fatigue levels and contributors to roster-related fatigue. Catherine obtained an honours degree in Biochemistry from the University of Surrey, focusing on sleep, biological rhythms and systems biology. Dr Curt Graeber is President of The Graeber Group, Ltd., an independent consultancy specialising in human performance and aviation safety. He retired from Boeing in 2008 as a Senior Technical Fellow, Chief Engineer for Human Factors and Director of Regional Safety Programs. He also served as Chief, Crew Operations, for the development of the 737-NG airplane series. Previously Dr Graeber led the flight crew fatigue program at NASA’s Ames Research Center. Curt has received numerous awards from various international aerospace organizations and has authored over 100 scientific and technical articles. He is a Fellow of the Royal Aeronautical Society, the Aerospace Medical Association and the Flight Safety Foundation. He co-chaired the Flight Safety Foundation’s Ultra Long-Range Crew Alertness Initiative and led ICAO’s Fatigue Risk Management Systems (FRMS) Task Force. He chairs Air New Zealand’s Independent Alertness Advisory Panel and has worked with Clockwork as an FRMS advisor to Air France and Southwest Airlines. Al has spent 43 years in aviation: 20 of them as a fighter pilot in the Royal Air Force (RAF) and 23 years with a major Hong Kong airline, retiring as a Senior Captain on the BOEING 777. He held several instructional positions in the RAF, on the Jaguar and Tornado, and was an Air Combat Instructor on the Phantom in the United States Air Force. He was a senior supervisor of flying in both air forces and was also a Flight Safety Officer in the RAF. He was a staff officer in the UK MOD, working with the Civil Service, research Scientists and UK industry. Throughout his commercial career, Al experienced exposure to fatigue on most of his duties, which involved mainly the Command of Long Haul flights between Europe and Hong Kong. He investigated, and implemented, techniques to mitigate the effects and risks of fatigue both to himself and the wider crew community. At his earliest opportunity, he joined the Airline’s FRMS Committee. Al is committed to using his experience to improve the life and health of all who are exposed to the effects of fatigue and to reduce the risk to the organisations who employ them.